We’re kicking off this week with our new Bartender's playlist, a column featuring playlists from our music section with features on some of our local bartenders! Always patient and usually kind, they’re the ones curating your dining or drinking experience, whether it’s a weekday brunch or saturday night out. 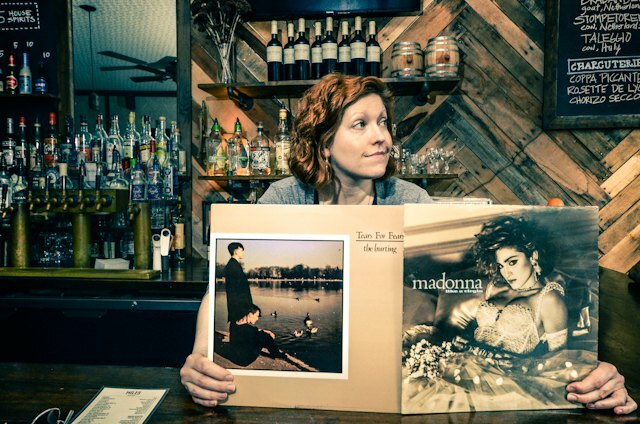 This week we’ve got an interview and Spotify playlist from Phoebe, bartender at Miles on Wilson Ave. Phoebe's playlist is one to incite nostalgia and create new memories, and to keep everyone (including herself) happy with songs from The Cars, The Clash, Tears for Fears and Cyndi Lauper! This is Phoebe! Phoebe's philosophy on playing music while bartending is that it has to be something that keeps her going and subsequently, because of her fantastic taste, it keeps her customers bopping and commending her on her music choices! "I wanna play something mellower earlier in the night and the thing about this is that yes it keeps me in a good mood but I get so many compliments on this playlist." Phoebe. As she mentioned, Phoebe has a couple of different playlists for different times of day, different moods, etc... This specific playlist is the one she puts on when things get busy. Phoebe moved to Bushwick from Burlington, Vermont in the fall of 2007. Her good friend, Scott, owner of Wyckoff Starr and co-owner of Cafe Ghia kept telling her she should move to Bushwick (and finally she did!). Phoebe is a unique NYC local, having only ever worked and lived in Bushwick the perfect bartender to talk to for this column. 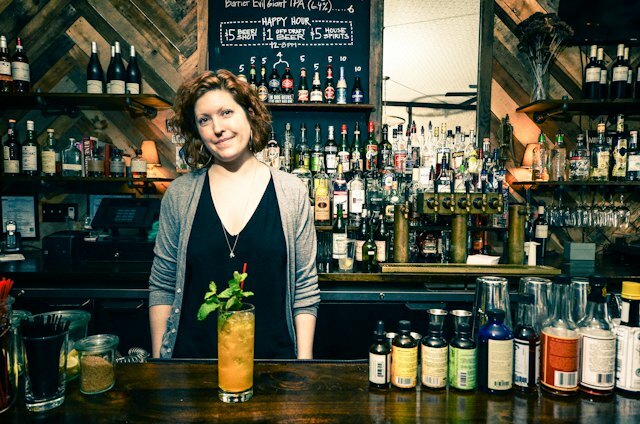 Phoebe is passionate about bartending and contributed her ideas to the formation of Miles, including cocktails on the menu and how the bar would be built. 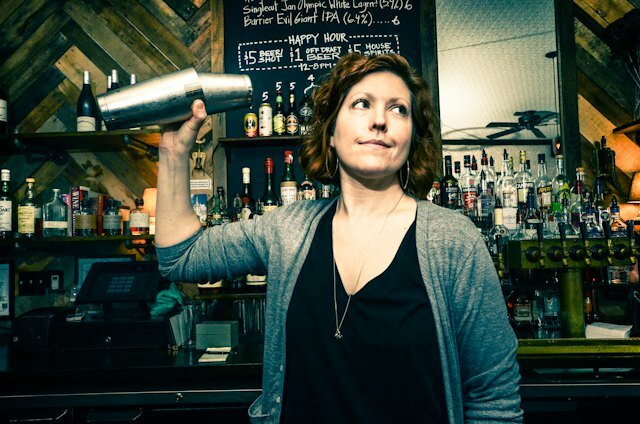 Her love of bartending shines through in her playlists because she truly makes it with the goal in mind that she can focus on the customers and make drinks they will love. "It needs to be something that can be put on, hit shuffle and not have to think about it for the rest of the night, so that I can pay attention to my customers." Miles is one of our fave spots- a really chill, mellow bar with fantastic cocktails, a quiet atmosphere and walls full of art- most memorably pictures of dogs on famous people's bodies! They serve grilled cheeses, have a fancy cheese plate and have a variety of events throughout the week like Mac & Cheese Mondays, Tuesday Vinyl Socials, and Wino Wednesday. BD: Was it at the restaurant [you worked at] in Burlington that you got into bartending? Phoebe: Yeah, when I started working there they had originally been beer and wine so I learned a lot about wine, wine is a passion of mine. I pick out all the wines here. While I was working there they renovated and put in a full bar so I was in a unique position to hire some bartenders and learn how to do this. They trained me and I’ve been doing it every since. It definitely falls into more of a self-taught category as far as all of the cocktails here. It definitely helps to live in the city and try amazing cocktails and see how other bartenders are doing things. One of the best parts about working here is that they are very supportive but also just give me free reign. BD: What hobbies do you have and what things you do when you are not working? Phoebe: I work four nights a week, and that can get a little intense, so most of the time my days off are very precious to me, and mostly I just spend them with my friends, I have Bushwick family of people I’ve known for years that really are like a second family. I definitely have TV that I’m into, like I get home and need to wind down. BD: What is the ultimate bar song? Phoebe: The playlist that I have on now is my go to playlist for when it gets busy to the point where the guys in the kitchen know when I'm busy cuz that’s when I change the playlist. It always starts with “Just What I needed,” by the Cars. It has a calming effect on me. BD: Do you put a cap on how new or current music you play should be? Phoebe: It depends on the playlist, I have one I put on earlier in the night which is much more current. With this playlist, everything on it is from the 80’s with the exception of one song and I’ve been called out on the fact that the one song is from the 90’s. As far as new playlists I try not to have things be so new as far as people being like, “this is too hipster-y,” I try to have songs on there that everyone knows. Michael Jackson -"Man in the Mirror"
"I once had someone ask me "who sings this?" I was so appalled! I told my good friend Paige about it, and now whenever she's at the bar when it comes on, she says, "is this Prince?" It always makes me smile. And it's a great song!" "This, for me, is the ultimate last call song. I have been joking for years that no matter what time this song comes on, it is LAST CALL!!! Of course that's not true, but it did once come on exactly at last call and it made me very happy." Murray Head- "One Night in Bangkok"
"We have a drink on our menu by that name, and I just love when that song comes on while someone is drinking a Bangkok!" *The One Night in Bangkok cocktail is featured in the two images above! The Cars- "Just What I Needed"
"This is always the first song on my playlist. About three notes in, I find myself instantly calmer. I know it's all psychological, but this song instantly puts me at ease!" 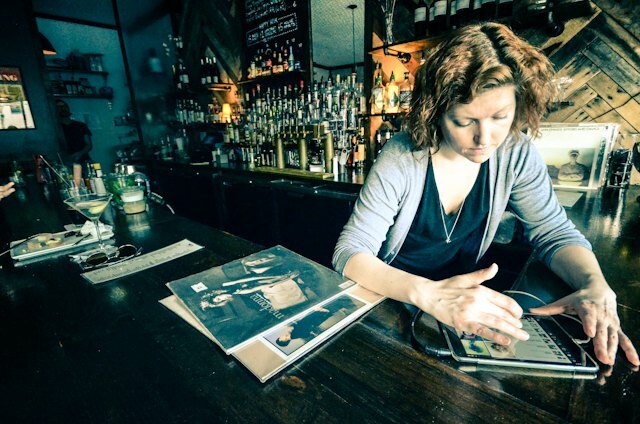 Check out some of Phoebe's busy bartending playlist on Spotify and stop in for some good music, awesome cocktails and some great conversation at Miles! Don't forget to tip your bartenders for all those sweet jams and tasty drinks! Miles is located at 101 Wilson Avenue. It is open nightly Monday through Friday from 6pm – 2am with happy hour from 6-8 with $1 off all drafts. Sat-Sun hours are 12pm-2am.